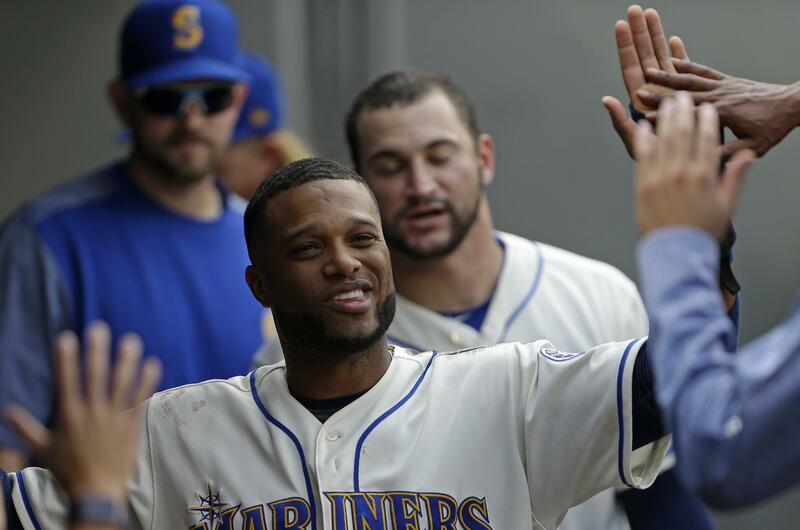 SEATTLE – Robinson Cano seems to have rediscovered his home run stroke just when the Seattle Mariners need it most. Cano homered for the second consecutive game and drove in four runs, Andrew Albers took a no-hitter into the sixth inning, and the Mariners beat the Oakland Athletics 10-2 Sunday to complete a three-game sweep. Albers, acquired from Atlanta on Aug. 11, did not allow a hit until Matt Olson opened the sixth with his 12th home run to make it 3-1. That was the only hit off Albers (3-1) who struck out five and walked one while throwing 101 pitches in six innings. Carlos Ruiz and Mitch Haniger hit solo homers for the Mariners, who moved within 2 1/2 games of Minnesota for the second wild-card spot. Cano had a two-run home run in the first, and RBI singles in the fourth and in a five-run eighth as Seattle finished with 17 hits. Cano had a solo homer in Saturday’s 7-6 victory, but prior to that had not homered in 35 games since July 22. Ruiz opened the sixth with his third homer to put Seattle up 4-1. Haniger, who also singled twice and doubled, made it 5-1 in the seventh with his 10th homer. Olson’s RBI single made it 5-2 in the eighth, but Seattle opened the bottom half with six consecutive hits en route to a five-run inning. Daniel Gossett (3-8) gave up three runs and seven hits in 3 2/3 innings, but walked five and struck out five as Oakland dropped its sixth straight. The playoff-contending Mariners, who had only seven home games in August and ended the month by losing the final five games of a 12-game trip, now host Houston and the Los Angeles Angels in consecutive three-game series. Cano staked the Mariners to a 2-0 lead in the first with his 21st home run, and extended it to 3-0 on his run-scoring single to left in the fourth. Seattle left two runners on base in each of the first three innings and the bases loaded in the fourth. Mariners center fielder Jarrod Dyson, activated off the DL on Friday, tweaked the groin injury Saturday and was not in the lineup Sunday. “I think he felt it coming out of the box on that ground ball he hit, so he just though it best to pull out of the game at that point,” Servais said. Dyson leads the Mariners with 28 stolen bases. Athletics: Oakland returns home after a winless six-game road trip. RHP Chris Smith (0-4, 6.7) starts Monday against the Angels. Smith, called up July 8 from Triple-A Nashville, has given up 10 earned runs with four homers in eight innings in his last two starts. Mariners: RHP Erasmo Ramirez (5-5, 4.43) opens the three-game series at home against Houston on Monday afternoon. Ramirez, acquired in late July from Tampa Bay, is 1-2 with a 3.62 ERA in six starts with Seattle. Published: Sept. 3, 2017, 5:20 p.m. Updated: Sept. 3, 2017, 10:26 p.m.